Azure will become a Red Hat Certified Cloud and Service Provider sometime in the next few weeks, making it possible at last for Red Hat Cloud Access subscribers to bring their own virtual machine images to run on Microsoft's cloud platform. Microsoft has long offered Azure support for other Linux distributions, but Red Hat's key enterprise offering has been conspicuously absent. "When I first heard the news, I wanted the title of the announcement to be, 'Hell has frozen over,'" quipped Gary Chen, a research manager with IDC. "I never thought it would really happen, but it finally did." Through the new partnership, Azure customers will also be able to take advantage of Red Hat’s application platform, including the JBoss Enterprise Application Platform, JBoss Web Server and Gluster Storage along with OpenShift, its platform-as-a-service (PaaS) offering. A "pay as you go" service called Red Hat On-Demand will offer RHEL images through the Azure Marketplace with support from Red Hat. Developers will have access to .NET technologies across Red Hat offerings, including Red Hat OpenShift and Red Hat Enterprise Linux, with joint backing from Microsoft and Red Hat. RHEL will be the primary development and reference operating system for .NET Core on Linux, the companies said. The companies will also offer unified workload management across hybrid cloud deployments. On the support front, meanwhile, a new enterprise-focused joint offering arriving in the next few weeks will be delivered by support personnel from each company co-located on-site. The announcement has been a long time coming, said Elias Khnaser, a research director with Gartner. "Microsoft should have done this 18 months ago," Khnaser said. Still, the news is "a testament to Microsoft’s ability to rise above product competitiveness and be open, especially when it comes to Azure," he added. "Until now, clients that wanted to use Red Hat workloads on Azure needed to get a special support note from Red Hat, so this is definitely good news for clients that want to use Azure." It will also benefit clients that use Microsoft Hyper-V but "may have avoided it in the past for Red Hat workloads," he said. It's not a major game-changer for Azure in its battle with Amazon Web Services, Khnaser said, "but it is definitely a welcome step in the right direction." AWS has long worked well with most of the major Linux vendors, but Microsoft "has a long history with Red Hat and Linux," IDC's Chen pointed out. That history hasn't always been amicable. 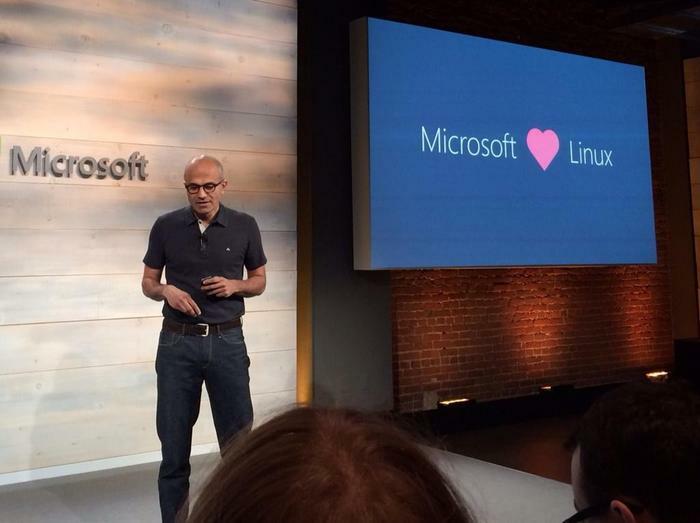 Not so very long ago, Microsoft CEO Steve Ballmer referred to Linux as a "cancer" in the technology world. The resulting lack of support for RHEL was negatively affecting Microsoft's cloud business, Chen said. "It was a big hole." More recently, current Microsoft CEO Satya Nadella has sung a very different tune. Overall, the move underscores not just the competitiveness that currently dominates the cloud arena, Chen said, but also the recent transformation of Microsoft. "If this doesn't show that this is a new Microsoft," Chen said, "I don't know what would."